I did it! I made a difference! Of course, now it’s up to the adoptees to take up the offer and get themselves there. But still we need more offers like this. More awareness of adoptees, and not just of adoption. I’m a bit late jumping on the re-blogging of this letter’s bandwagon, but since it’s such an important and well-written piece, I’m finally getting around to it. Being adopted hurts. Being adopted is hard. It is not beautiful; it is brutal, it is tragic, it is a cause for great sadness. For in order for a child to even be available for adoption, that child must first go through some sort of tragedy; whether that be abuse, hunger, homelessness, neglect, or even the simple fact that he or she is losing the life and family he or she was born into. This makes adoption a thing to mourn; not a cause for celebration or joy. To be joyful about adopting a child is to be glad that this tragedy happened. I don’t think there’s a soul alive who would actually choose to be born into a situation where being relinquished for adoption, voluntarily or otherwise, was necessary. Of course there will always be a need for children to be removed from their parent(s) and placed in safer, more stable, loving homes – but please understand that no matter how good and loving and wonderful the adopting parents are, nothing will ever erase the pain, the grief, and the loss that comes with being adopted. The very foundation of adoption is that of loss – a child loses his or her mother, father, and entire family; a mother, father and family loses one of their children. And, yes, even a loss for the adopting parent – sometimes the loss of the expectation of having their own, biological offspring, the loss of a dream of having a baby of “their own.” A separation of one family MUST occur before a new one can be built through adoption. Maybe it isn’t a voluntary destruction, maybe the destruction is necessary for the health and safety of the child – but it is still a destruction of the very core, fundamental foundations of that child’s life that will forever be altered. Think of it this way…one of your parents dies, and your surviving parent eventually goes on to remarry. Though you might grow to love and have a great relationship with your parent’s new spouse, no amount of love and happiness in this present situation will erase the grief you feel over the loss of your other parent. So please, if you have adopted or are considering adoption, keep this in mind. Adoption should be the very last resort after all other options have been tried. Ask yourself this – does an adoption HAVE to happen? Is there anything I can possibly do to help this young mother keep her child? Are there resources I can direct her to, items I can supply her with, can I offer her the support and encouragement she needs to be a good parent? If so, then pursuing adoption is not the right choice. Too many unnecessary adoptions happen as a permanent solution to a very temporary problem. Adoption, after all, is forever – while a current living situation, job situation, etc., is temporary and can be changed and improved. Most women who relinquish their children do so because they feel they have no other choice…but what if she does have another choice, and only needs the support and encouragement to make it? Adopted people know we are a second choice, a “Plan B,” a solution to someone else’s problem. While there are some people out there who would choose adoption first, most only do so after failed attempts at pregnancy or to “complete” a family of all boys or girls or to give their current child a sibling. Adding to your family through adoption should never be about meeting some need of your own…it should always and only ever be about providing for the CHILD’S needs. Please don’t put the added pressure on an adopted child by forcing them to live up to the unspoken standard of the child you couldn’t concieve or the son or daughter you couldn’t produce. Adoption is not a cure for infertility, nor are adopted people “gifts” to be passed around in order to complete somebody else’s life. We are human beings in our own right, with our own feelings, needs, and wants. Don’t add to an already painful situation by expecting us to be something we weren’t born to be. Please be willing to be completely open and honest with the child you may someday adopt. It doesn’t matter how horrible of a situation they came out of; tell them the truth, and tell them early. For the truth can be dealt with, it can be processed and closure can be found; but nobody can get closure from fantasies and daydreams. Adopted people are stronger than you give them credit for; believe me when I say, we imagine and prepare for every possible scenario when it comes to our families or origin. Don’t think we haven’t entertained the idea that our biological parents were the worst of the worst, or idealized them as some sort of saintly creatures, and everything in between. We have already survived the loss of our original families; don’t for one minute think we can’t survive knowing the reason why. And on that note, if an adopted person ever chooses to search, reunite, or just know more about their family of origin, don’t guilt them into not doing it or make them feel beholden to you. It has NOTHING to do with you. NOTHING. Human beings are born with an innate curiosity about who and where we come from. For some adopted people to feel whole, they need to know their own personal history and explore their roots. There’s nothing wrong with that. After all, you, as the parent, are responsible for your adopted child’s happiness and well being…not the other way around. Swallow your pride, put away your jealousy, and support your adopted child in any quest for truth they may wish to undertake. Believe me, they will thank you for it. Don’t fall into the terminology trap. Adoptees know they have more than one set of parents…two that created them, and the parent(s) who are raising them. ALL are real to the adoptee. Don’t get caught up in who is “real” and who is more important; let your adopted child choose the terminology that suits THEM. If you have been a good and loving parent, that’s all you need. Besides, a parent can love more than one child, so why can’t a child be allowed to love more than one parent? The heart has an infinite capability to love. Don’t begrudge your adopted child the possibility of loving people he or she may not even remember. And don’t disparage the biological parents or family either. They may be evil people, the scum of the earth…but to say anything bad about the biological family is the same as saying something bad about your adopted child. The child did come from these people, after all; and better or worse we did inherit parts of ourselves from them. The old saying applies here more than anywhere else…if you don’t have anything nice to say, don’t say anything at all. Adopted people experience a range of issues from having been adopted…many suffer from the fear of rejection and abaondonment, have problems trusting others and forming relationships. After all, our very mothers could walk away from us, so what’s to stop anyone else? Though not all adoptees experience these, many do, and to varying degrees. Just because the adopted person in your life hasn’t mentioned it, don’t think they don’t feel it. Many will never, ever talk about their negative adoption issues for those exact reasons…fear of rejection, fear of abandonment, and just the overwhelmingly negative response they expect. If the adopted person in your life (your child, a friend or other family member) ever does talk about it, take your personal feelings and judgments out of it. Resist the temptation to say things like, “But you had such wonderful [adoptive] parents!” or “but you could have been aborted/thrown in a dumpster/etc. !” Adoptees are the only subset of society who are wholly expected to be grateful for our very lives, and with this expectation comes the need to try to suppress any negative emotion or feeling. Most adoptees won’t even admit to themselves, let alone other people, that they are hurting. After all, we got this “better life,” didn’t we? We don’t have the RIGHT to feel sad/angry/depressed. So many adoptees choose to stay silent and instead live a lie. And, yes, that goes hand-in-hand with the child-parent relationship thing…remember, the PARENT is repsonsible for the health and well being of the CHILD, NOT the other way around. Only in adoption are adoptees somehow expected to always be careful not to “hurt” their adoptive parents; not to rock the boat or bring up something about their adoption because their PARENTS might not like it. This is another reason so many adopted people don’t speak about adoption…we are afraid of hurting our adoptive parents. I know that as a parent myself, I would never expect my children to be responsible for my well-being…so please, don’t ever place that expectation on adopted people either. After all, their adoptive parents WANTED to adopt, they WANTED a child, and chose this path for themselves. The adoptee most often did not choose it and had no say in the matter. Don’t expect gratitude. ANYONE could have been aborted, could have been abandoned, could have been abused. These are not phenomena that are solely related to adoptees. Just because a person was adopted doesn’t automatically mean they were unwanted, that they “could have been” anything…they are just people who are being raised by a different family and are living a DIFFERENT life, not necessarily a better one. Please, if you are considering adoption or have already, educate yourself. Read books such as the Primal Wound. 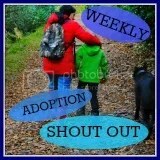 Read blogs by adopted people and relinquishing parents. Go into it with an open mind and open heart. Understand that there is the very real potential that the child you someday adopt might just struggle with it. And while you can be a terrific parent, a wonderful guide and mentor, the damage has already been done. Be prepared to do the hard work of helping your child deal with any grief, anger, and other issues he/she may feel. TALK to them about it. Adoptees are notorious for keeping things bottled up…let them know it’s OK to talk with you about them. Reassure them that you will NOT be hurt, offended or damaged by their feelings. ALLOW them the freedom to feel whatever they feel. If you are considering an open adoption or have entered into an open adoption, HONOR that. Unless there is some clear and present danger to the life of your child, KEEP THE COMMUNICATION OPEN. Don’t cease contact with the biological family because it’s an inconvenience for YOU. Understand that yes, at times it might be emotionally trying for your adopted child, your child may come away from visits or reading letters and feel depressed and angry, but don’t take that as a reason to cease contact. TALK to your child. Help them understand WHY they are feeling this way. It’s only natural that this might happen; and in the same breath, the biological mother/father/family may also feel overwhelmed at times and pull back, but do what you can to keep the lines of communication open. Remember, adoption is based on loss, and being reminded of that loss can be overwhelming. But that doesn’t mean it should be avoided. Your adopted child will thank you someday for sacrificing your own happiness and comfort to allow him/her to keep this very important connection. Try not to make a big celebration out of your child’s adoption day (and PLEASE don’t EVER use the horribly offensive and insensitive term “Gotcha Day). The same goes for birthdays. For while it may be a happy occasion to remember, keep in mind that it also marks the day that the adopted person was permanently and forever separated from their mother, their father, their original family. Birthdays are especially hard; for most adoptees have the knowldedge that our births were not cause for celebration; nobody was bringing our mothers flowers and balloons and offering congratulations; our entrance into this world was one of sadness and trepidation. And it marks the day we were phyisically separated from our mothers; for many of us, it was the last time we ever saw her. So if the adoptee in your life withdraws around his or her birthday or doesn’t appear to like celebrating, respect that. Understand that to many of us, it is not a cause for celebration. I am not trying to tell anyone not to adopt. I am not saying, “shame on you” to anyone who already has adopted. What I am saying is, please step back and really think long and hard about the ramifications of adoption on the very person who is at the center of it all – the child you hope for or the child you have brought into your home. Be ready and willing to put a lot of hard work into helping this adopted child heal, to feel whole and complete in themselves. Be prepared to put your own needs and wants on the shelf and to put away your expectations, do what it takes to attend to the needs of your adopted child. All the love in the world, all the toys and gadgets and material things you might provide will never replace or erase what was lost. Family preservation should always be the goal. Adoption should never, ever be utilized unless it is the last and only option left. Because adoption should be about finding homes for children in need; NOT finding children for people to fill a need. Jesus commanded us to help the orphan AND the widow…we as a society should do more to help famlies stay together instead of tearing them apart. Nobody really wants to be adopted…if given a choice, they’d rather their family situations could improve so that they wouldn’t have to be separated. Would YOU have liked it if your mother gave you away? This comment was originally posted in the replies section following the Guardian’s blog post, Daddy’s adoption stories (I’ve read stories with titles like that :p), but (typo aside), I like it so much, I’m adding it to my wall of fame – ish thing. Now I have said before, I do not deny that there are mistakes made, that there are over zealous SWs who err on the side of caution, but after Victoria Climbie and Baby P, do you really blame them? Getting it wrong and over-compensating by taking too many is just as destructive as getting it wronging by not taking enough – possibly even more so, since the risks are under-accounted for in making decisions. Adoptees have a higher suicide risk than non-adoptees, they’re also over-represented in both the prison population and the psych.therapy arena. Thus, increasing the number of adoptees by getting it wrong and over-compensating can lead to harsher long-term effects. 99 times out a 100, there for a bloody good reason and that when they can no longer go home, that they need loving responsible new families, not foster care, not group home, but permanent new mums, dads and homes.? I don’t disagree that there are always going to be those kids who are going to need someone from outside their own family to do the raising and loving and nurturing that their own parents can not or will not do. However, adoption is nothing more than a legalised lie that pretends the child is “born to” the adopters. It’s a legal fallacy, and is unnecessary, since if someone is willing to do the raising and loving and nurturing and supporting, then they should be able to do it without “ownership documents” that simply reinforce the fallacy of being “born to” those parents. Good parents are Good Parents no matter what bits of paper they do or don’t have – they certainly don’t need to legally obliterate the child’s history (which is what adoption does) in order to be able to provide unconditional love for that child. Re: Specifics on cases – I don’t know what of the information that I do know is public, and what bits are ‘protected’ by gagging orders, thus all I can currently provide is the links I’ve already provided, which within their own pages have links to at least some ‘facts’. What makes someone a mother? so…since the act of pushing out a baby doesn’t make one a mother, why the need for non-pushers to be on BIRTH certificates? the idea that some mothers actually can become such without the use of another woman’s womb, is lost on some of these folks. SUPERMOM who conceived, gestated, pushed, nursed, and raised my own children.